Anisha Gautam is a firecracker! This lively young woman continually inspires us with her sparkling attitude, independent spirit, boundless energy, gumption, and perseverance. Did we mention that her birthday is July 4? When Anisha received a BMKF law degree scholarship in 2015, she was determined to enroll in a highly competitive program — a five-year Bachelor of Arts Bachelor of Law (B.A.L.L.B.) program at Nepal Law Campus, Tribhuwan University. She passed the entrance exam, but lost her place due to the program’s quotas for indigenous students. Undaunted, she went to talk to the campus chief. “I wanted to see if there was any other way to get admission, but he said there was no possibility as the 70 seats were already assigned. So I decided to defer my BMKF scholarship, prepare more fully for the exam, and join the next year,” Anisha says. 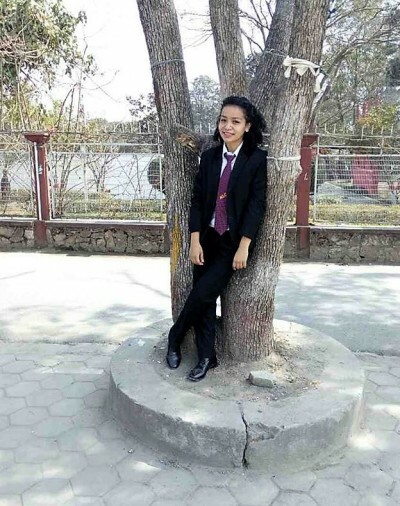 BMKF scholar Anisha Gautam studies at Nepal Law Campus. Anisha studied, passed the entrance exam with flying colors, and secured a seat at Nepal Law Campus. Along the way, she also volunteered for the Bo M. Karlsson Foundation, tutored another BMKF scholar, and brought her impish spirit to BMKF gatherings. She loves to dance and we’ve heard she knows the lyrics to all of the current pop songs. 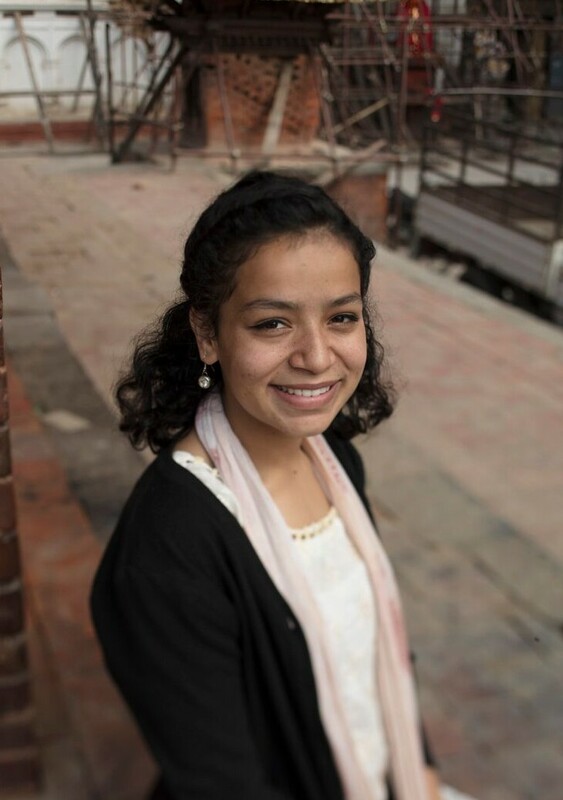 Anisha grew up in Kathmandu with her four sisters and a brother. She says her father has two jobs to make ends meet, but his income just covers their basic needs. 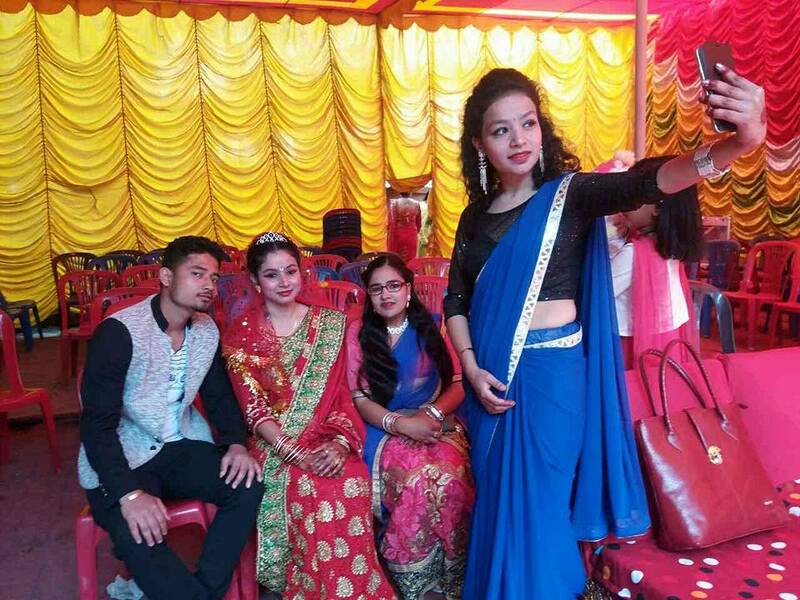 BMKF scholar Anisha Gautam takes a photo at her sister’s wedding. Anisha is interested in politics and social work, as well as law. 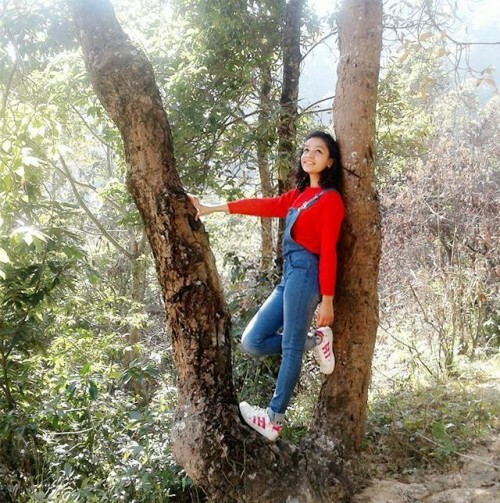 When you visit Kathmandu, look for Anisha in a tree!